Men and women who are suffering from receding hairlines or brittle, thinning hair on the top of the head have access to more hair regrowth therapy options than they did a few years ago. And while some hair loss solutions are either unsafe, unreliable, or both, there are several that are approved by the FDA and almost guaranteed to produce results if carried out correctly. These options can be divided into three categories. Minoxidil, also called Rogaine, is a hair regrowth treatment option that can be purchased over the counter as foam that can be rubbed into the scalp every day. This treatment is FDA approved for both men and women and can either restore lost hair or slow the rate of thinning and depletion. Hair recovery may be slower with this product (it can take about 12 weeks for noticeable change) but both the five percent and the available ten percent solutions are considered safe. 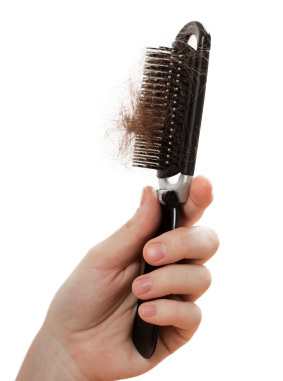 The worst common side effect may be scalp irritation or hair growth in unwanted places. Finasteride, also called Propecia, is a hair regrowth treatment approved for men only, which is available by prescription and can be taken in pill form. This product should be handled with care, taken only according to directions, and avoided by women. FUE (follicular unit extraction) and FUT (follicular unit transplantation) are available to men and women who are looking for surgical hair regrowth therapy options. Both procedures are designed to extract healthy hair follicles from areas of dense growth and move these follicles to areas in need of new hair. As surgical hair transplant technologies improve, both of these reliable procedures become even safer and more effective, and at this point, both can be conducted as outpatient procedures with minimal pain and very low risk of scarring at the donor site. Contact Dr. DiStefano’s office for more information about any of the options listed above.